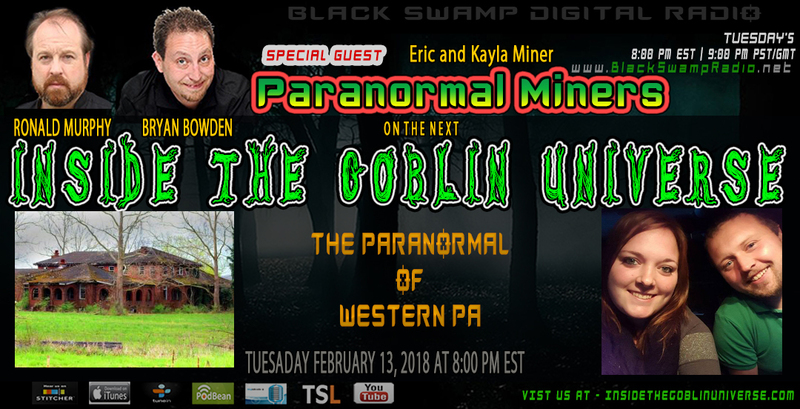 041 Inside The Goblin Universe with Kayla and Eric Miner of the Paranormal Miners. Ronald Murphy and Bryan Bowden welcome Kayla and Eric Miner from Paranormal Miners. We discuss Ghosts and Ghost Hunting in Western PA; we touch on their own Facebook Live program and we even catch a odd oscillation from the interview.